Dr. Janelle Dorsett has helped countless women in and around Lubbock achieve their goals of starting a family. She does this through careful diagnosis of the root cause of infertility, and the proper implementation of effective fertility procedures such as in vitro fertilization (IVF). There are many potential causes of infertility in women. One particular group of infertility issues is related to the fallopian tubes. Let's take a moment to consider these right now. The fallopian tubes connect the ovaries to the uterus. They are a necessary part of ovulation, which involves viable eggs traveling from the ovaries to the uterus in order to be fertilized by sperm as part of natural conception. When there is an issue that affects the fallopian tubes, it can have a significant impact on a woman's ability to have children through natural means. One common way that the fallopian tubes affect fertility is blockage. 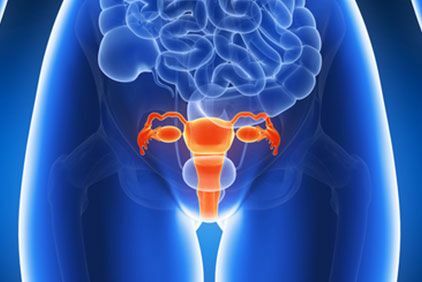 When a fallopian tube is blocked, it prevents the eggs from reaching the uterus, or seriously impairs the ability for the eggs to reach the uterus. When this occurs, it means that pregnancy is far less likely. Sometimes the fallopian tube does not have to be blocked to cause infertility. Damage to the fallopian tubes can take many forms and can be sustained in a number of different ways. For instance, the damage may be the result of physical trauma and injury, or it might be the result of a systemic condition such a endometriosis, an infection of the uterus, or sexually transmitted diseases. There are many different treatment options to consider for problems with the fallopian tubes. For tubal infertility related to health conditions, it's common for doctors to treat the conditions themselves and for fertility to potentially be restored. This may involve the use of medications or the use of surgery, though it will vary from patient to patient and based on a whole host of factors. If treating the root case of the tubal infertility does not restore a woman's fertility, that's when fertility treatments can be considered. A common option to consider is in vitro fertilization (IVF), which involves the harvesting of viable eggs from the ovaries to be fertilized in a lab setting. This helps ensure proper fertilization. The embryo can then be placed in the woman's womb, or be brought to term by a surrogate carrier. The best option with regard to the surrogate/no-surrogate choice will depend on the woman's general health and whether or not that would affect the viability of the pregnancy. Each woman is different, and it's important that any treatment that is performed is carefully tailored to meet the needs of the patient. That's why it's so important to visit the practice for a full consultation. Once the consultation is completed, all options for treatment can be discussed in detail, including a careful consideration of the risks and benefits involved. For more information about your options for starting the family of your dreams, it's important that you contact our advanced fertility treatment center today. Dr. Janelle Dorsett will work with you and answer all of your questions when it comes to treating infertility.